Save big on travel when not only do you earn miles when you fly with Turkish Airlines, but you also earn miles with any of their partner hotels, car rental from partner car rental companies, and certain large purchases. 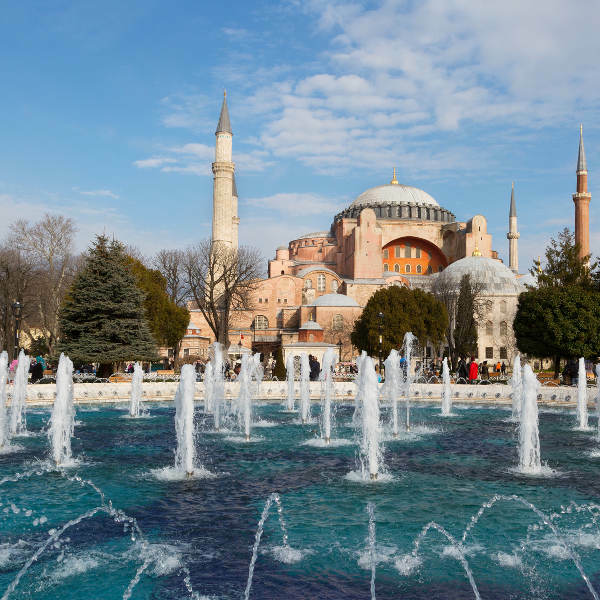 Discover Istanbul with 1 - 2 nights free accommodation when your layover is longer than 20 hours and enjoy a free tour when your stopover is more than 6 hours. Some tours include a full meal and access to top tourist attractions. Turkish Airlines is known to serve only the most delicious and flavoursome meals to their passengers. 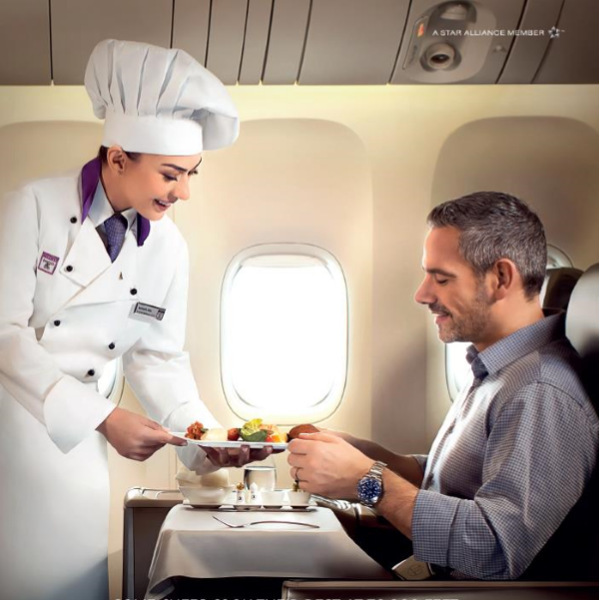 Choose from a variety of dishes to enhance your flying experience. Turkish Airlines has been voted the “Best Airline in Europe” for six consecutive years in a row at the Skytrax World Airline Awards, flying to 300 destinations all around the world! Awards and accomplishments such as these demonstrate Turkish Airlines’ continued commitment to the passenger satisfaction and development within the industry. The airline became a member of Star Alliance in 2008, which allowed Turkish Airlines to add its own richness of diversity and multiculturalism to the alliance, and also contributing to the highest standards of safety and customer service. This is, of course, great news for Turkish Airlines passengers as this partnership offers passengers easy connections to almost any destination in the world. To take advantage of Turkish Airlines' amazing stopover project which offers select passengers free 4/5* hotel accommodation in Istanbul's city centre, please visit: Turkish Airlines Stopover Project. Book Turkish Airlines flights to Istanbul, London, Copenhagen and other exciting places! 1 Piece of hand-luggage is allowed in-flight (8kg). The baggage allowance may vary depending on the destination distance and flight. Passengers are required to inform themselves about this before they arrive to the airport. Turkish Airlines now also offers 'Miniport' - a service provided by the airline where Turkish Airlines will pick up your luggage from the airport, and drop it off for you to collect at Taksim, in the Istanbul city centre. This service is available to all seat classes, to better improve your travel experience! Passengers can make use of Turkish Airline online check-in between 24 hours to 90 minutes prior to the departure time of flight. Check-in can also be done at the airport desks. These desks are closed 60 minutes to international and 45 minutes to domestic flights scheduled departing time. Passengers are required to inform themselves on the timings of check-in when booking, to ensure that they do not miss their flights. • USB and laptop chargers available at seats. • On-board power receptacle supplies energy for laptops and other electrical devices. • Reading light available at seat. The above mentioned services are not available on all flights, as they are still in the process of adding these services to all flights. Passengers can find out the services offered their flight on the Turkish Airlines site. Turkish Airlines flies to 300 top destinations, and is always on the lookout to expand its wings further. These 300 destinations are across 117 countries: 244 international and 51 in Africa alone!